car travelling at 100 km/h within a 4 m freeway lane surrounded on all four sides by other vehicles. After more than 30 years since "human factors" became a formal discipline, with journals and organizations, questions are still posed [Boff 1988], with some frustration and anguish, regarding how all the knowledge acquired can be distilled into coherent models of how people learn and perform. Notwithstand­ing the lack of any effective overall model of how people drive, a great deal has been learned about various specific aspects of the driving task. The techniques for studying driver capabilities and performance have included observing actual drivers in traffic, experiments using instrumented vehicles, and studies using driving simulators of varying degrees of sophistication and realism. Below we skim the surface of this large body of literature. This categorization fits well the acquisition of driving skill. different strategies are explored, and the learner is acutely attentive to feedback. The learner-driver devotes full attention to the task, and increases skill by responding to feedback either from observed consequences of inputs, or from directions from an instructor. The skill of knowing what output is required in specific traffic situations develops together with the skill of knowing what input produces the desired output. In the third, or autonomous phase, the task is performed at a high level with minimal effort, in part because behavior becomes rather fixed and inflexible. In this autonomous phase, the task can be performed using a small fraction of the driver's attention. Other tasks, such as navigation, looking for specific addresses, conversation, admiring the scenery, listening to the radio or thinking about other matters can be performed. In this autonomous stage, the mental capacity assigned to the driving task, although small, is still such that if a threatening incident occurs, all attention is quickly switched to the driving task. Most drivers have personally experienced this many times in, say, driving along awaiting some specific portion of a radio broadcast. An incident occurs in traffic, the driver responds, and later realizes that the sought after radio information, although broadcast, has not been perceived. freeway. In the first hours of driving experience, the driver scanned over a wide area, including well above the horizon. After about a month's driving experience, the fixations are more confined in the vertical direction, but still vary horizontally. After three months' experience, fixations are more concentrated at the focus of expansion of the roadway, with a much greater reliance on peripheral vision for cues to control the vehicle lateral position in the lane. In comparing eye fixations of novice and experienced drivers, Mourant and Rockwell  find additional evidence that as drivers gain experience they concentrate their eye fixations in a smaller area. Novice drivers looked closer in front of the vehicle and more to the right of the vehicle's direction than did experienced drivers. It appears that the novice drivers frequently sample the curb to estimate the vehicle's lane location. The novice drivers sample the rear-view mirrors much less frequently than the experienced drivers. The results suggest that the novice drivers are unskilled and overloaded in their visual acquisition task. drivers are relatively poor at identifying distant hazards, although they compare well with older drivers in identifying near hazards. Psychophysical performance at many of the component tasks of driving are found to develop rapidly during early stages of learning to drive [Rockwell 1972, p. 149]. The early stages of learning to drive are characterized by substantial levels of fear. As driving skill increases, fear decreases. Job  comments that training courses focusing on skill, and on producing relaxed and confident drivers, may provide desensitization of fear in more risky situations. Although driving remains one of the riskiest activities, it soon becomes relatively unconnected with fear. We retain greater fear of objectiv­ely safer situations. As Rumar  discusses, evolution imparted us with a natural fear of heights which is so ingrained that we retain it in the absence of reinforcing experiences to ourselves or acquaintances. We do not lean far out of a window on the third floor, from which height a freely falling object would strike the ground at 50 km/h. Yet we travel at much higher vehicle speeds without feelings of anxiety. As smooth locomotion through the environ­ment is not part of our evolutionary heritage, we have no built-in basic fear of it. Once facility is acquired at basic driving skills, driving becomes relaxing and unassociated with danger. We largely lose that protection described by Shakespeare [Hamlet, Act I, Scene 3], "Best safety lies in fear". learning to drive. While such a sustained learning curve is not impossible, it is a learning curve not encountered for other perceptual-motor skills. While skill is not the only important factor, crash data nonetheless provide indications that lack of skill in novice drivers contributes to crashes. Fig. 3-10 shows that rollover crashes (the main component of the top/non-collision category) account for a larger fraction of fatalities to 16-year-old drivers than to drivers of any other age; a rollover crash may result from an inability to steer effectively. In contrast, frontal crashes account for a smaller fraction of fatalities to 16-year-old drivers than to drivers of any other age; frontal fatal crashes, typically into fixed objects such as trees, generally suggest high speeds. There is high reliability in the measured differences between the 16-year-old and older drivers because the data are many and do not involve external exposure measures; indeed, the effect is equally clear if the analysis is confined to single-vehicle crashes [Evans 1989]. The noticeably larger difference that occurs from age 16 to 17 compared to (say) from 17 to 18 suggests effects due to lack of driving experience. Lack of skill is likely a more dominant factor in the beginning driver's high rate of involvement in minor crashes. Smiley, Reid, and Fraser  find changes in steering control strategy as novices begin to learn to drive, but of a less clear nature than observed in visual search patterns. seeking of risk, or intrinsic nature of youth, seems to me the main factor, although experience is also important. Evidence hinting at an important influence of experience is provided by Polus, Hocherman, and Efrat  who find that female drivers on rural roads in Israel were more involved in single-vehicle crashes, but less involved in multiple-vehicle crashes than male drivers, even though the females drove slower. The female drivers (unlike in the US) obtained driving licenses at considerably older ages than the male drivers. The authors interpret the absence of a net difference in crash rate, notwithstanding greater caution, to less driving experience by the female drivers. A similar interpretation might apply to the finding of Carsten, Tight, and Southwell  that judgment errors were more frequently coded for female than male drivers in injury producing crashes in Leeds, UK. If increased rates of crashing were due to lack of skill, then training and education would appear to be a natural countermeasure. Although there have been many studies of the influence of driver education on crash rates, none with acceptable methodology has shown that those who receive driver education have lower crash rates than those who do not. Indeed, Lund, Williams, and Zador , in analyzing data from the largest evaluation of driver education to date, in DeKalb County, Georgia, conclude that the most noticeable effect is to enable those who take it to acquire licenses at an earlier age. Having acquired the licenses, they then experience crash rates typical for their age, and as a consequence end up with more crashes than if they had not received driver education. In an earlier study, Robertson  comes to a similar conclusion. Brown, Groeger, and Biehl  conclude that there is no reliable evidence of safety benefits from driver training. Potvin, Champagne, and Laberge-Nadeau  find no effect on crash rates from driver training in Quebec, Canada. Helander  provides convincing evidence that crash-involved drivers subject to certain intervention strategies are about 20% less likely to have subsequent crashes than are untreated drivers. Although the interventions involve training, it is not clear that the mechanism producing the crash reduction is the knowledge acquired, or the experience of detailed interaction with the authorities. The effect may be more in the realm of enforcement and deterrence rather than education and training. Post-licensure training programs have not been shown to reduce crash rates. Lund and Williams  review 14 controlled studies of the effects of defensive driving course training programs. They conclude that, while the methodologically strong studies show a decrease in the frequency of traffic violations, no consistent effect on crashes is apparent. Some states require drivers with multiple citations or crashes to attend such courses. Others require automobile insurers to give discounts to graduates of approved training courses. Clearly, if there was convincing evidence that such courses reduced crash rates, then discounts would be given as part of the actuarial process without the need for compulsion. There are presently widespread efforts to increase training programs for older drivers, with a move to provide compulsory insurance reductions for graduates without any evidence that the programs reduce crash rates. A possible reason why training and education do not lead to clear changes in safety is that so much of the skill and knowledge they aim to impart will be learned by trial and error, and by experience. Without instruction, drivers will learn how to negotiate corners, park, back and perform all the repetitive tasks based on experimentation and feedback. year driving records of over 22 523 licensed drivers in Illinois. No relationships are found between performance on a pencil and paper license test and subsequent violation and crash rates. 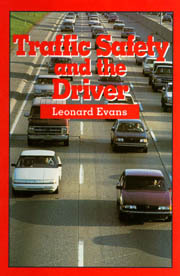 It is often claimed that crash involvement itself plays a crucial role in education, and that older drivers have lower rates because the crashes they had when they were younger taught them a lesson, or as Shakespeare (King Lear, Act III, Scene 1) put it "The injuries that they themselves procure must be their schoolmasters." While such effects almost certainly occur, there seems little possibility of empirical investigation. Motorcycle riding requires learning specific control and balancing skills beyond those required for driving vehicles with more than two wheels. McDavid, Lohrmann, and Lohrmann  provide evidence from their own study, and from their review of many prior studies, that motorcycle training does appear to lead to somewhat lower motorcyclist crash rates. The absence of proven safety benefits from driver education does not prove that training cannot increase safety, but merely that none of the methods so far applied have been demonstrated to be successful. The importance of traffic safety justifies continuing searching aimed at discovering more effective training techniques. Michon  claims that rule-based approaches rooted in cognitive psychology have promise. of the road and how to behave in traffic. They have been riding in, and getting out of the way of, motorized vehicles since infancy. Rockwell [1972, p. 150] writes that much of driving skill development greatly depends on exposure both as a driver and passenger in the family automobile environment. The few weeks of driver education makes but a modest increment to this large pool of knowledge. People not growing up surrounded by motorization, who start with a lesser pool of knowledge, might possibly acquire in driver education programs specific knowledge that is already well known by children in motorized countries. Any specific conclusion about the value of driver education in less motorized countries must await specific evaluation studies. Although crash rates are minimum at about age 40, this does not necessar­ily imply that driver performance reaches a maximum at this age. Factors other than skill contribute to crash rates. Little of a specific nature is known about the development of higher level driving skills beyond the changes in the very early stages of learning, although much is known about the reduced sensory capability with ageing that contributes to increased crash rates with increasing age beyond about 40. There are no directly measured indications of changes in driver skill from, say, one year's experience to 10 or 20 years' experience. While skill at the components of driving increases rapidly in early learning, the ability to identify and extract relevant information from a complex cluttered traffic environment appears to come more slowly. Perhaps a distinction should be drawn between perceptual-motor skills and total performance which additionally incorporates more advanced and complex information processing capacities. These additional abilities, which might be described as road sense, or good traffic judgment, develop over many years. It is almost impossible to investigate such phenomena experimentally. On the one hand, it is not feasible to compare drivers with, say, one year's experience to those with ten years' experience because, if done at one time, differences between the two samples of drivers would probably overwhelm any possible difference due to experience; the thought in the title of Brown's  "Exposure and experience are a confounded nuisance in research on driver behaviour" applies. On the other hand, longitudinal studies, using the same drivers tested nine years apart, are also infeasible; even if there were a commitment to such ongoing research, and a sufficient number of subjects returned for retesting, changes in roadways, vehicle and traffic characteristics, and traffic volumes would make it difficult to attribute any observed changes to increased driver skill. Although there is no specific evidence available, and unlikely to be any, I share the view of most observers that higher level driving skills do continue to increase with driving experience even over time frames of the order of decades. The ability to extract and correctly process relevant information from a complex visual field appears to increase, and there appear to be ongoing increases in driver abilities to project further in time. We saw above that the novice driver is grimly focused on the present location of the vehicle, whereas as skills increase, visual attention focuses more on the vanishing point ahead -- where the vehicle will be in the future. As each task becomes more overlearned, the driver acquires more spare mental capacity which, through learning by feedback, focuses further ahead. to the exclusion of other cues. A more experienced driver may slow down gently a long way from the light if it has just turned red or if there is a long line of stopped vehicles, but maintain a higher speed if the light has been red for some time and there are only a few vehicles waiting. The more experienced driver is more likely to have learned that in the first case stopping is essentially inevitable, whereas in the second case stopping, or even slowing down, may not be required. Which of these cases applies depends on events well in advance of the decision to slow down now or continue to monitor the situation further before acting. The less experienced driver tends to use turn signals more as part of the ceremony of turning or changing lanes, rather than to warn other road users of intent. For turn-signal information to be really useful, it should be the first indication of an intended maneuver; providing corroborative information after the vehicle has initiated the maneuver is of minimal value. As some drivers increase in experience, the warning time they provide other road users of intending maneuvers increases. It should be emphasized that some less experienced drivers exhibit the more advanced behavior in the above examples, while some experienced drivers the less advanced -- there are large variations amongst drivers at each stage of experience. contrast, safety can be learned only by more indirect means, benefiting from the experience of the whole society rather than each driver learning from individual experience. Aspects of safety will not be learned by experience in the same sense that people are unlikely to learn by experience that the earth is spherical. When decomposed into fine detail, the driving task has much complexity, involving as it does the simultaneous control of lateral and longitudinal position through the use of steering wheel, accelerator and brakes, together with many pattern recognition and other higher level cognitive skills, such as estimating future situations from present information. McKnight and Adams  identify about 1500 different perceptual-motor tasks in driving. Although I consider the task to be more holistic in nature, such a taxonomy is useful in helping establish its complexity. Basically, the driving task is a closed-loop compensatory feedback control process, meaning that the driver makes inputs (to the steering wheel, brake and accelerator pedal), receives feedback by monitoring the results of the inputs, and in response to the results, makes additional inputs; an open loop process is one, such as throwing a baseball, in which once the process is initiated no corrections are possible based on later knowledge about the trajectory. Below some comments about the major building blocks that comprise the driving task are presented. The feedback used to monitor driving is overwhelmingly visual. I see no reason to dissent from Rockwell's [1972, p. 150] statement that vision in driving is believed to constitute over 90% of information input to the driver. A questionnaire administered by Gardner and Rockwell  revealed that most drivers relied on their own judgment rather than signs when making decisions about speed and lane changes when encountering freeway construction and maintenance zones. Indeed, an extensive body of research on sign perception reviewed by Na?"a?"ta? "en and Summala [1976, p. 115-130] indicates that drivers generally ignore signs if the information conveyed by them can be extracted directly from the visual environment. This is further substantiated by Shinar and Drory , who find that in daylight drivers had little recall of signs they had just passed on a road in Israel. It appeared they placed more reliance on their own observation and judgment of impending danger, taking little note of the existence of the sign. In contrast, at night, when potential hazards are less visible, recollection of the same signs was much greater. Although viewed through the windshield, the signs could, conceptually at least, be presented in other ways, such as an on-board display. The driver's preferred mode of operation is to pursue a visual search, and only resort to other information sources when problems arise. be turned to alter the vehicle's direction by a given angle). When transferring to cars with higher (or lower) steering system gains, experienced drivers do not travel more (less) sharply around corners, or have difficulty maintaining lane position. Instead, they react to the visual information by making the steering input necessary to achieve the desired visual result without being much aware how much they moved the wheel and in such a manner that there are no observable changes in the behavior of the vehicle. Similar comments apply to different force characteristics, or, in the extreme, to power versus manual steering. Less experienced drivers are more aware of changes in steering system gain or force-feel characteristics, and their driving can be noticeably influenced by transferring to a different vehicle. The dominance of visual feedback in driving is similar to dominance of aural feedback in the playing a stringed musical instrument. Intonation (playing in tune) is not controlled by the proprioceptive sense of remembering where to place the fingers, but by listening to what comes out. A learner training on an instrument of one size will play one of a different size (on which all the finger placings are different) more out of tune, whereas a skilled player will be less aware that there is even a difference, just as in the steering gain case. capabilities relevant to driving, such as the ability to withstand glare [Sturgis and Osgood 1982]. At older ages visual performance declines further at such driving tasks as reading signs at night [Sivak, Olson, and Pastalan 1981]. Concern has increased that such changes might seriously detract from the abilities of older drivers to drive safely [Yanik 1985]. Because the relationship between visual performance and age is quite different from the relationship between traffic crash rates and age, one must conclude that visual performance alone is not the key to driver safety. This view is further reinforced by such information as does exist on the safety of monocular drivers. Liessma [1977, p. 31], using data from 1021 drivers stopped by traffic police, concluded that "The monocular driver is not an above average source of accidents." Data collected by the District of Columbia Department of Motor Vehicles [Medically Handicapped Drivers 1973] find 20 crashes per 1000 for monocular drivers, about a quarter of the average rate. So the available literature [see also Thalmann 1971] provides little evidence that so specific a vision deficiency as the loss of one eye is associated with elevated crash rates. A related finding is the absence of any important correlations between crash rates and static visual acuity, dynamic acuity, visual field, glare recovery and recognition in low illumination for groups of subjects under 25 years and over 54 years [Davison 1978]. Higher level visual search and pattern recognition skills are probably more important in driving than optimum performance at simple visual tasks. From the loosely structured, but stimuli-rich, visual environment the driver must select the relevant, a task so central that the driver has been considered [Shinar 1978] to be an information processor. One of the few indications in the literature of a link between driver performance measures and crash involvement rates relates to driver information-processing abilities [Avolio, Kroeck, and Panek 1985]. Of the various quantities a driver is called upon to judge, speed is the only one for which instrumented quantitative feedback is provided on a regular basis. Each time a driver consults a speedometer, a comparison can be made between perceived and actual speed. Such consultations are additionally motivated by the need to obey speed limits. The overlearning of this task might suggest that drivers would become very good at it. The ability of drivers to estimate speed without the use of a speedometer has been investigated in a number of studies. Denton  instructed drivers of cars with obscured speedometers to double or halve an initial speed of magnitude, unknown to the subject, set by following experimenter instructions. The subjects' attempts to decelerate or accelerate to halve or double these speeds were biased by large amounts in the direction of the initial speed. For example, the goal of doubling an initial speed of 30 mph produced an average speed of 44 mph, rather than the nominally correct 60 mph. The goal of halving 60 mph produced, on average, 38 mph. Noguchi  instructed subjects to drive at their chosen speeds on closed roads; when the speedometer was concealed, speeds were consistently higher (in all of 14 comparisons) than when the speedometer was visible, with the overall average difference being 3 km/h. asked subjects to estimate speed without specifying where they should look, and find that subjects estimated normal driving speeds without large average systematic errors; errors averaged over all subjects tested are typically less than 5 km/h. When hearing is restricted, both studies find systematic speed underestimation, typically by about 8 km/h. Further evidence of the importance of hearing in judging speed is provided by Evans [1970a] who finds that blindfolded subjects could judge speed without systematic error, and by McLane and Wierwille  who find that depriving subjects in a driving simulator of auditory cues increased inaccuracy at maintaining instructed speeds. The importance of auditory information in judging speed motivated Triggs and Berenyi  to mask this cue. They were interested in how drivers would estimate speed in conditions, such as negotiating a freeway ramp, in which looking at the speedometer is unlikely. They reasoned that the auditory information would be likely masked by other sounds, such as a radio playing. Subjects were given one second glimpses of the roadway using an occlusion helmet. Under daylight conditions speeds were systematically underestimated by about 10 km/h; judgments made at night were more accurate. Subjects viewing a silent movie [Evans 1970b] photographed looking forward from the passenger seat of a moving car underestimated the car's speed to a degree similar to that found for the hearing-deprived subjects making judgments from this same car. Noguchi  finds that subject estimations of speeds of video scenes shot from a moving car are consistently underestimated by substantial amounts, which might also be related to auditory cues. find that drivers instructed to maintain a nominal speed of 60 mph without the aid of a speedometer drove at an average speed of 57 mph on an open road segment compared to an average speed of 53 mph on another tree-lined segment of the same road. Denton  used a geometric pattern of bars with decreasing spacing on a roadway to induce vehicles to reduce speed; the pattern is such that at constant speed it generated a sensation of increasing speed. Although there are indications in the literature, as discussed by Shinar [1978, p 82], that peripheral vision provides most of the cues to motion, the situation is probably rather complex and involves learned geometrical relationships. In the movie film study by Evans [1970b], subjects at the rear of the auditorium judged speeds to be (11 + 3)% higher than those at the front, notwithstanding that the rates of visual angle change are clearly less at the rear. For every picture, there is only one viewing distance which preserves the original perspective, and therefore, even more, the original motion cues in their correct geometrical relationship to the scene. Those standing further away from the screen than this viewing distance will sense faster motion, and those nearer will experience slower motion. We are all very familiar with this phenomenon in long focus (telephoto lens) pictures of racing cars approaching the camera. The racing car seems almost motionless when viewed on the screen. To preserve a non-distorted sense of the car's speed, the screen would have to be viewed from a distance increased in proportion to the ratio of the focal length of the lens photographing the picture to that of a more typical lens. Viewed from such a distance the picture would be free from motion distortion, but too distant to convey useful information. but are able to attribute them more unambigously to prior speeds influencing the perceptual sensation of subsequent speeds. It is, however, worth noting that the act of slowing down after prolonged freeway driving may itself influence the speed adaptation phenomenon, in that the prior speed becomes not the freeway speed, but (for a short exposure), a slow or zero speed. The tendency to drive faster on a given road because of prior high speeds on a different road, regardless of the extent to which it is due to perceptual biases in speed estimation or to speed perpetuation, has important safety implications. Through this phenomenon, speed limits, and changes in speed limits, may have spillover effects that influence safety on roads other than the ones directly affected. Indeed, Brown, Maghsoodloo, and McArdle  find evidence that property damage crashes increased on stretches of Alabama Interstate highway on which the speed limit remained fixed at 55 mph when the speed limit on other sections was increased from 55 mph to 65 mph. Speed adaptation appears to be largely a perceptual illusion not unlike many optical illusions in which how part of a simple drawing is perceived is greatly influenced by adjacent parts of the drawing. As visual training and experience does not make optical illusions disappear, it seems unlikely that experience or training would make speed adaptation disappear. This underlines the importance of speedometer use, especially when exiting from a freeway after prolonged travel, or when travelling on streets with low speed limits after travelling at higher speeds. The speedometer is thus an example of an instrument providing important information beyond that obtained by the driver by just looking out of the car. Judgments of speed arise mainly in isolated, relatively unconstrained driving. Most driving is spent constrained by a vehicle in front, although there does not appear to be any quantitative estimate of the fraction of driving spent following vehicles. The car-following situation has been the focus of much investigation, and elegant mathematical descriptions of it have been developed [Herman and Potts 1961]. Each vehicle (except the lead) in a platoon of vehicles reacts, after a time delay, to a stimulus arising from its relationship with the vehicle in front. The reaction is an acceleration or deceleration. Various forms of the stimulus have been explored, but the one most successful at explaining a great deal of experimental data is the relative speed divided by the spacing. One of the least successful is the spacing between the vehicles. It appears that the following driver does not attempt to, or is unable to, maintain a desired spacing by accelerating or decelerating when the actual spacing becomes larger or smaller than desired. Rather, when the vehicles move apart, the driver accelerates, and when they approach, the driver decelerates. Michaels , with the implication that for the same probability of detection, the speed must increase as the square of the spacing; Michaels suggested a threshold value of 6 X 10-4 rad/s is provided by a speed of 100 km/h at a viewing distance of 300 m.
Evans and Rothery  investigated ability to judge the sign of relative motion in a car-following situation by placing an occlusion device (Fig. 5-2) in front of the eyes of subjects who rode in the right front passenger seat of an instrumented car. This car followed another instrumented car on a freeway. When the experimenter in the following car judged that the relative speed between the vehicles was sufficiently close to zero to make judging its sign difficult, he pressed a button which opened the occlusion device to allow the subject to view the lead car for four seconds. The subject's task was to move a lever forward if the cars were judged to have come closer (negative relative speed) and backwards if thy were judged to have moved further apart. Instructions called for a "forced choice" -- one or other response was required for each stimulus. As is common in forced choice experiments, even for stimuli so small that subjects indicated that they were only guessing, they were in fact scoring well above the chance level. dynamic optical illusion worthy of further laboratory study. Its existence makes it unlikely that estimates from a moving vehicle of the speed of another vehicle would depend simply on the change in the angle subtended at the viewer's eyes, even at large spacings. Because of the bias, which increased in magnitude with inter-vehicle spacing, it is not possible to express the results in terms of one threshold value because different values for positive and negative relative speed pertained at each spacing. However, the experiment showed high capabilities at judging the sign of relative motion. For example, if a lead car 60 m away is approaching the following car at 5 km/h, the following driver's probability of correctly identifying the relative motion as negative is 0.99.
retrieve a forgotten item, rather than the exiting driver's inability to perceive fast uncoming cars, could explain why so many crashes of this type occur [Campbell 1990]. People tend to be able to judge distance reliably over a wide distance range [Sedgwick 1986]. The short distance cues of accommodation (the focusing of the eye's lens) and binocular disparity (the eyes having to aim more towards each other as viewed objects become nearer) are of little consequence in judging distances of objects outside a vehicle one is driving. Most distances that require judgment are in the range 5 m to 500 m. Many factors have been shown to influence spacing judgments. For example, size constancy, the built in knowledge we have about the size of familiar objects. Enlarged pictures, placed the same distances from subjects, of different sized well recognized coins are judged to be at different distances; the larger the size of the real coin, the further away it is judged to be [Sedgwick 1986, p 21-13]. a small than from a large car. The view from the small car exposed a greater distance of roadway between the two cars -- that is, the hood being smaller and lower, allowed the driver to see the roadway at distances closer to the front of the following vehicle. The amount of visible roadway is further established as an important cue in judging distance by having an additional condition in which the rear of the lead car was raised so that, for the same spacing, yet more roadway was exposed to the view of the camera at the driver's eye position. It is found that the same spacing, judged from the same car, is perceived to be greater when more roadway is visible. The target car is the same distance from the camera in both photographs in Fig. 5-3. The finding that the same spacing is judged to be larger when perceived from the smaller car offered an explanation of a number of field and experimental observations that small cars follow at closer headways than larger cars [Herman, Lam, and Rothery 1973]. In order to maintain the same subjective spacing in large and small cars, a smaller spacing (which seems larger) would have to be chosen when driving the smaller car. To maintain equal protection in the event of a crash would require larger, not smaller, following distances in the smaller cars. Drivers reacting to a lowered sense of security in the smaller car could cause them to chose a greater spacing than for the larger car, with the perceptual bias either reducing the magnitude of their desired increased safety margin, or even reversing it. On a two lane roadway the task of overtaking a lead car in the face of an oncoming car involves judging the distance of the oncoming car, and the relative speed between the oncoming car and the driven car, which may be in excess of 200 km/h. Farber and Silver  performed an extensive experimental investigation of the influence of many factors on drivers' judgments and decisions in overtaking. Tests were conducted on one side of a completed but unopened four-lane section of Interstate freeway. Subjects in one car followed another car, while a third car approached in an adjacent lane. It is found that while drivers make reliable estimates of the distance to the oncoming car, they are insensitive to its speed. Basically, at the distances required for this task, the cues to relative speed (mainly the angle subtended at the driver's eyes by the oncoming car) provide minimal information. When the subjects were informed the speed of the oncoming car, passing occurred at smaller, and less varying, spacings. In a follow-up study, Farber  finds that unsuspecting drivers on two-lane rural roads passed slower moving cars with greater likelihood the greater the available passing distance, and the lower the speed of the lead car. At night, drivers were more conservative and variable in the passing distances they were willing to accept than in daytime driving. The inability of drivers to estimate oncoming speed leads them to decline safe passing opportunities when the oncoming car is travelling slower than expected, and to initiate unsafe passing maneuvers when the oncoming car is travelling faster than expected. Technology to inform the driver of the oncoming vehicle's speed could therefore increase both traffic efficiency and safety. From the point of view of driving, the two most important characteristics of reaction time are, first, the number of stimuli and the number of possible possible responses, and second, expectancy [Na?"a?"ta? "en and Summala 1976]. If a subject is instructed to fixate on an unlit lamp, and press a switch as soon as possible after it lights, then simple reaction times of the order of 0.15 s are generally recorded. If the number of stimuli and responses increase (say a number of lights, each with its own associated switch), then choice reaction times become progressively longer. As the uncertainty about when the light is going to come on increases, so does the reaction time [Fitts and Posner 1967]. Reaction times in driving involve identifying a variety of events in a complex environment, so it is not surprising that reaction times bear little resemblance to the minimum possible in laboratory tests. Indeed, it is convenient, conceptually, to divide the time from stimulus to driver response into two phases, decision or perception reaction time (time to decide to brake, for example), and response or movement reaction time (time to place foot on brake pedal), even though they are generally observed as one composite reaction time. Although there is a fairly extensive literature on reaction times relating to driving [Shinar 1978; Na?"a?"ta? "en and Summala 1976], the most difficult factor to investigate, especially as it relates to crashes, is that of expectancy. between 0.30 s and 0.59 s. As the drivers hands are already on the steering wheel, there is minimal movement reaction time for this task compared to braking. Olson and Sivak  measured the perception and response times of young and old drivers to an object suddenly encountered when driving an instrumented station wagon over a crest-vertical curve. On the first trial, the drivers had been driving the vehicle for about 10 to 15 minutes, and the object is unexpected. In subsequent trials subjects knew the goal of the experiment, but the location of the object changed. Perception and response times are considerably longer for the unalerted trial than for the subsequent ones. The older subjects have longer perception and reaction times than the younger, in keeping with much research that shows that reaction times increase with age. For all the subjects combined, the 95th percentile total reaction time for the unalerted trials is 1.6 s. However, the authors point out that after driving an instrumented vehicle with an experimenter present, a driver may be more alert than an average driver. They recommend the continued use of a reaction time of 2.5 s for the surprised driver; this value is a common choice in US traffic engineering practice for such purposes as computing sight distances in freeway design. with most responses being between 1.5 s and 4.0 s. Thus the 2.5 s value mentioned above finds additional support in this study, and is used in the following example constructed to bring out the importance of reaction time and stopping time. the kinetic energy dissipated by the lower-speed car expressed as a percent of the kinetic energy of the higher-speed car. Injury risk and severity probably increase much more than linearly with kinetic energy. Fig. 5-4 is plotted using the following specific values; v1 = 55 mph (89 km/h, or 24.6 m/s); v2 = 70 mph (113 km/h, or 31.3 m/s); and reaction time = 2.5 s. The constant deceleration, A, is taken to be 5 m/s2, a reasonable value for good tires on dry level pavement (we ignore the hill which was for expository convenience only). This value is just over half the 9.8 m/s2 acceleration due to gravity. During the 2.5 s reaction time the two vehicles travel 61 m and 78 m respectively. During the braking phases they travel 60 m and 98 m, for total stopping distances of 121 m and 176 m respectively. If the obstacle is so close that the slower car strikes it before beginning to brake, then the ratio of the kinetic energies for the two cars is 552/702 = 0.62; that is the kinetic energy dissipated in the crash of the slower car is 62% of that dissipated in the crash of the faster. Whether the driver of even the slower car could survive so severe a crash will depend on many factors, such as the stiffness of the object struck, the size of the striking car, restraint system use (lap/shoulder belt plus airbag maximizes survival -- Chapter 9), and driver age. As the distance between the point at which the first car begins to brake and the struck object increases, the chances of the first driver surviving compared to the second increase rapidly. speed. Third, reductions in reaction time can reduce the probability and severity of crashes. Empirical relations (Eqns 6-1 to 6-3) between actual speeds and fatality risk are given in the next chapter. As motorization develops, a greater fraction of driving is spent following other vehicles, with consequent risk of rear impact crashes; rear-end crashes account for approximately 15% to 20% of all vehicles damaged in crashes in the US [O'Day et al. 1975; Campbell 1990]. The first major technological countermeasure was the development of brake lights. In the early 1980's there were over one million police reported crashes annually in the US in which a car is struck in the rear, this representing 19% of all police reported crashes [Kahane 1989]. Because small reductions in reaction time promise large reductions in crash rates, there has been much research on rear-lighting approaches to reduce reaction times. Such factors as light configuration, color and brightness [Mortimer 1977] have been examined, as well as methods of indicating the magnitude of deceleration of the lead car [Mortimer and Kupec 1983]. Babarik  examined the ratio of simple reaction time (finger pressing in response to a light) to jump reaction time (moving the hand 12 inches in response to a light) for 127 Washington, DC taxicab drivers. He finds that higher than average values of this ratio are associated with a greater tendency to be struck in the rear, given that the driver is involved in a crash. A possible interpretation is that an increased delay before perceiving the need for braking, followed by a faster movement of the foot to the pedal and subsequent larger deceleration, will increase the risk of being struck in the rear. Motor Vehicle Safety Standard MVSS-108 required all new cars sold in the United States since 1 September 1985 to be equipped with a red stop lamp mounted on the centerline of the rear, generally higher then the other two stop lamps mounted on the sides (Fig. 5-5). This configuration was identified in an experiment involving a fleet of Washington, DC taxicabs fitted with this type of device or other innovative stop lamps, while a control group of the same makes, models and driver characteristics had conventional stop lamps [Kohl and Baker 1978]. Drivers reported details of all crash involvements. The study analyzed changes in the number of impacts on the rear during braking -- the only type of crash subject to potential influence from changing stop lights; in the field tests, 67% of the taxis struck in the rear were struck while braking. The key finding in the experiment is that the Washington taxicabs with center high mounted stop lamps were struck in the rear while braking 54% less often for the same distance of driving as the taxis in the control group. In a follow-up study, Reilly, Kurke, and Buckenmaier  used 5400 telephone company passenger vehicles driven 55 million miles during a 12 month period in locations scattered widely throughout the US. The 2500 vehicles equipped with center high mounted stop lamps are found to be struck in the rear while braking 53% less than those not so equipped, for the same distance of driving, a result in close agreement with the 54% for the taxicabs. In another study, Rausch, Wong, and Kirkpatrick  find a 51% reduction. By examining driver eye fixations, Sivak, Conn, and Olson  provided a possible behavioral explanation of the efficacy of the center high mounted stop light in terms of the driver being more likely to fixate in the region of the center of the vehicle, rather than its extremities. The effectiveness of center high mounted stop lamps in actual use was investigated by Kahane  using 1987 police reported data for 11 states. He compared the ratio of rear impacts to non-rear impacts for 1986 and 1987 model year cars, all of which were equipped with center high mounted stop lamps, to the same ratio for model year 1980 to 1985 cars, very few of which were so equipped. In estimating effectiveness, three corrections are applied reflecting the following three effects. First, about 10% of the 1980-1985 cars were built or retrofitted with center high mounted stop lamps. Second, newer cars have a higher proportion of rear impacts than older cars (presumably because they use higher levels of braking [Evans and Rothery 1976b]). Third, because the device is only relevant if braking occurs, the earlier finding that the effectiveness in reducing crashes in which braking does occur is approximately 1.5 times the effectiveness in reducing all rear impact crashes is used to infer the effectiveness when braking did occur. The result Kahane  obtained is that the center high mounted stop lamp reduc­ed rear impacts to cars that are braking by (17 + 2)%, where the error is one standard error. This reduction is estimated to provide property damage loss reductions about nine times as great as the estimated cost of the devices. System program) gave 22%, while the 1989 study gave 17%. Further evaluations are planned. About 25% of the cars in the 1989 study were equipped. The precision with which differences can be determined is greatest when half of the sample is equipped and half is not, which will occur soon. Later, when most cars are equipped, estimates of the effectiveness of the device will become more and more imprecise as the sample of control cars becomes more depleted each year, so that it does not seem possible to obtain an estimate when all cars are equipped, and all drivers expect the device. There are indications that drivers sometimes monitor cars ahead of the one they are following directly through windows. In such cases the center high mounted stop lamp would be perceived more reliably than those on the sides, which would militate against the effectiveness reducing to zero. Even if effectiveness does decline in time, which is certainly not known to be the case, the benefits that accrue in the interim are real and would still count for much in any benefit-cost analysis in which the benefits are assumed to decline, even to zero, in time. of reaction time using a simulator, no matter how realistic, would be suspect unless the subject drove for many hours to establish arousal and anxiety levels characteristic of normal driving, thus limiting data collection rates to a few per day. The success of sophisticated moving-base aircraft simulators has encouraged the application of similar technology to the driving case. There is little in common between the two situations. The aircraft simulator is a 30 million dollar device representing a 150 million dollar aircraft. For the automobile case, it seems harder to justify a 30 million dollar simulator, when the real article can be purchased for about 10 thousand dollars. High realism simulators appear to offer little for driver training, although rudimentary low-cost simulators can be useful in initial instruction of location and function of controls. An accompanied learner driver can practice starting and stopping a real car every 15 s or so; a simulator offers little difference in training rate or safety. In contrast, it would be difficult to fit in more than a few real aircraft take-offs and landings in an hour, not to mention the fuel cost, equipment cost, and danger. The simulator allows take-offs, followed by take-offs without intervening landings, to be repeated under varying conditions. While the performance skills learned in simulators can be critical in emergencies in the air, car driving emergency situations usually arise because of expectancy problems. list are such items as alcohol and drug effects, fatigue effects, rear lighting systems, reduced visibility in fog, and passing zone markings and signs. While some progress has been achieved on a few items on their list using simulators, a basic question must remain about the majority. Can the lack of progress be traced specifically to insufficient realism in the simulator, thus justifying a more sophisticated simulator? Any decisions regarding major investments in additional driver simulators should identify what specific problems they can be used to solve, and why they can solve them when only slightly less sophisticated simulators could not. The following thought experiment helps address such questions. Consider a make-believe simulator consisting of an actual car, but with the remarkable property that after it crashes a reset button instantly cancels all damage to people and equipment. What experiments could be performed on such make-believe equipment which would increase our basic knowledge about driving? The answers provide an upper limit on what might be done using improved simulators. Defining subject areas, such as alcohol and driving, should not be confused with defining specific questions; in Chapter 7 we note that there are already over 500 technical papers on how alcohol affects performance. Increased knowledge about driving is most likely to be discovered using the normal processes of science. In these, problems are first defined, and if they can be solved using existing equipment, they are. If they cannot be solved using existing equipment, new equipment is developed only if it is considered likely to contribute to the solution, and not for its own sake. should identify what specific problems they can be used to solve, and why they can solve them when only slightly less sophisticated simulators could not. Overall, while various aspects of driver performance are related to safety, there is not a coherent pattern. The finding of no effect from driver education and knowledge, and that younger drivers, with the best visual acuity and shortest reaction times, have the highest crash rates, suggests that driver performance is not the driver characteristic which has the largest influence on traffic safety. Avolio, B.J. ; Kroeck, K.G. ; Panek, P.E. Individual differences in information-processing ability as a predictor of motor vehicle accidents. Human Factors 27:577-587; 1985. Babarik, P. Automobile accidents and driver reaction pattern. Journal of Applied Psychology 52:49-54; 1968. Boff, K.R. The value of research is in the eye of the beholder. Human Factors Society Bulletin 31(6):1-4; 1988. Brown, D.B; Maghsoodloo, S; McArdle, M.E. The safety impact of the 65 mph speed limit: a case study using Alabama accident data. Washington, DC: National Highway Traffic Safety Administration, Report no. DOT HS 807 425; April 1989. Brown, I.D. Exposure and experience are a confounded nuisance in research on driver behaviour. Ergonomics 14:345-352; 1982. Brown, I.D. ; Groeger, J.A. ; Biehl, B. Is driver training contributing enough towards road safety? In: Rothergatter, J.A. ; de Bruin, R.A., editors. Road users and traffic safety. Assen/Maastricht, Netherlands: Van Gorcum, p. 135-156; 1988. Campbell, K.L. Personal communication based on preliminary analyses of CARDfile data, 1990. Carsten, O.M.J. ; Tight, M.R. ; Southwell, M.T. Urban accidents: why do they happen? Basingstoke, UK: AA Foundation for Road Safety Research; 1989. Casey, S.M. ; Lund, A.K. Three field studies on driver speed adaptation. Human Factors 29:541-550; 1987. Conley, J.A. ; Smiley, R. Driver licensing tests as a predictor of subsequent violations. Human Factors 18:565-574; 1976. Davison, P.A. The role of drivers' vision in road safety. Lighting Research and Technology 10:125-139; 1978. Denton, G.G. A subjective scale of speed when driving a motor vehicle. Ergonomics 9:203-210; 1966. Denton, G.G. The influence of visual pattern on perceived speed at Newbridge M8 Midlothian. Transport and Road Research Laboratory, Crowthorne, Berkshire, UK; 1973. Denton, G.G. The influence of adaptation on subjective velocity for an observer in simulated rectilinear motion. Ergonomics 19:409-430; 1976. Evans, L. Speed estimation from a moving automobile. Ergonomics 13:219-230; 1970a. Evans, L. Automobile speed estimation using movie-film simulation. Ergonomics 13:231-237; 1970b. Evans, L. Airbag effectiveness in preventing fatalities predicted according to type of crash, driver age, and blood alcohol concentration. Association for the Advancement of Automotive Medicine, 33rd Annual Proceedings, Baltimore MD, p. 307-322; 2-4 October 1989. Evans, L.; Rothery, R. Experimental measurement of perceptual thresholds in car-following. Highway Research Board Record 464:13-29; 1973. Evans, L.; Rothery, R. Detection of the sign of relative motion when following a vehicle. Human Factors 16:161-173; 1974. Evans, L.; Rothery, R. Comments on effects of vehicle type and age on driver behaviour at signalized intersections. Ergonomics l9:559-570; 1976a. Evans, L.; Rothery, R. The influence of forward vision and target size on apparent inter-vehicular spacing. Transportation Science 10:85-101; 1976b. Evans, L.; Rothery, R. Perceptual thresholds in car-following -- a comparison of recent measurements with earlier results. Transportation Science 11:60-72; 1977. Farber, E.I. ; Silver, C.A. Knowledge of oncoming car speed as a determiner of driver's passing behavior. Highway Research Record 195;52-65; 1967. Farber, E.I. Passing behavior on public highways under daytime and nighttime conditions. Highway Research Record 292;11-23; 1969. Fitts, P.M.; Posner, M.I. Human performance. Belmont, CA: Brooks/Cole; 1967. Fuller, R. Psychological aspects of learning to drive. In: Rothergatter, J.A. ; de Bruin, R.A., editors. Road users and traffic safety. Assen/Maastricht, Netherlands: Van Gorcum, p. 527-537; 1988. Gardner, D.J. ; Rockwell, T.H. Two views of motorist behavior in rural freeway construction and maintenance zones: the driver and state highway patrolman. Human Factors 25:415-424; 1983. Helander, C.J. Intervention strategies for accident-involved drivers: an experimental evaluation of current California policy and alternatives. Journal of Safety Research 15:23-40; 1984. Herman, R.; Potts, R.B. Single-lane traffic theory and experiment. In: Herman, R., editor. Theory of traffic flow. Amsterdam, Netherlands: Elsevier, p. 120-146; 1961. Herman, R; Lam, T; Rothery, R. An experiment on car size effects in traffic. Traffic Engineering and Control 15:90-93,99; June 1973. Hulbert, S.; Wojcik, C. Driving task simulation. In: Forbes, T.W., editor. Human factors in highway traffic safety research. New York, NY: Wiley-Interscience, p. 44-73; 1972. Kahane, C.J. The effectiveness of center high mounted stop lamps: a preliminary evaluation. Washington, DC: National Highway Traffic Safety Administration, report DOT HS 807 076; March 1987. Kahane, C.J. An evaluation of center high mounted stop lamps based on 1987 data. Washington, DC: National Highway Traffic Safety Administration, report DOT HS 807 442; July 1989. Kohl, J.S. ; Baker, C. Field test evaluation of rear lighting systems. Washington, DC: National Highway Traffic Safety Administration, report DOT HS 803 467; 1978. Kuratorium fu? "r Verkehrssicherheit. Verkerspsychologie IV, Vienna, Austria, p. 149-184; May 1970. Job, R.F.S. The application of learning theory to driving confidence: the effect of age and the impact of random breath testing. Accident Analysis and Prevention 22: 97-107; 1990. Jonah, B. A. Accident risk and risk-taking behaviour among young drivers. Accident Analysis and Prevention 18:255-271; 1986. Liessma, M. The influence of a driver's vision in relation to his driving. First International Congress on Vision and Road Safety, organized by La Prevention Routiere Internationale, p. 31-34; 1977. Lund, A.K. ; Williams, A.F. A review of the literature evaluating the defensive driving course. Accident Analysis and Prevention 17:449-460; 1985. Lund, A.K. ; Williams, A.F. ; Zador, P. High school driver education: further evaluation of the DeKalb county study. Accident Analysis and Prevention 18:349-357; 1986. Macrae, N. The next ages of man. London, UK: The Economist, p. 5-20; 24 December, 1988. Matthews, M.L. A field study of the effects of drivers' adaptation to automobile velocity. Human Factors 20:709-716; 1978. McDavid, J.C; Lohrmann, B.A. ; Lohrmann, G. Does motorcycle training reduce accidents? evidence from a longitudinal quasi-experimental study. Journal of Safety Research 20:61-72; 1989. McKnight, A.J; Adams, B.D. Driver education task analysis, volume 1, task descriptions. Alexandria, Va: Human Resources Research Organization, 1970. McLane, R.C. ; Wierwille, W.W. The influence of motion and audio cues on driver performance in an automobile simulator. Human Factors 17:488-501; 1975. Medically Handicapped Drivers. Today's traffic. Traffic Safety 73:20; November, 1973. Michaels, R.M. Perceptual factors in car following. In: Almond, J., editor. Second international symposium on the theory of traffic flow. Paris, France: OCDE, p. 44-59; 1965. Milosevic, S. Perception of vehicle speed. Revija za psihologijy (Yugoslavia) 16:11-19; 1986. Mortimer, R.G. A decade of research in vehicle rear lighting. What have we learned? American Association for the Advancement of Automotive Medicine, 21st Annual Proceedings, p. 101-112; September 1977. Mortimer, R.G. ; Kupec, J.D. Scaling of flash rate for a deceleration signal. Human Factors 25:313-318; 1983. Mourant, R.R. ; Rockwell, T.H. Visual information seeking of novice drivers. SAE paper 700397. Warrendale, PA: Society of Automotive Engineers; 1970; included in the proceedings of the 13th FISITA conference, p. 704-711, 1970 International Automobile Safety Conference compendium, 1970. Mourant, R.R. ; Rockwell, T.H. Strategies of visual search by novice and experienced drivers. Human Factors 14:325-335; 1972. Na?"a?"ta? "nen, R.; Summala, H. Road-user behavior and traffic accidents. Amsterdam, Netherlands: North Holland; 1976. O'Day, J.; Filkins, L.D. ; Compton, C.P. ; Lawson, T.E. Rear impacted vehicle collisions: frequencies and casualty patterns. Contract no. UM-HSRI-SA-75-2, Motor Vehicle Manufacturers Association, Highway Safety Research Institution, University of Michigan: Ann Arbor, MI; July 1975. Olson, P.L. ; Sivak, M. Perception-response time to unexpected roadway hazards. Human Factors 28:91-96; 1986. Polus, A.; Hocherman, I.; Efrat, E. Evaluation of the accident rates of male and female drivers. Paper 870302, presented to the 67th annual meeting of the Transportation Research Board, Washington, DC; 11-14 January 1988. Potvin, L.; Champagne, F.; Laberge-Nadeau, C. Mandatory driver training and road safety: the Quebec experience. American Journal of Public Health 78:1206-1209; 1988. Rausch, A; Wong, J.; Kirkpatrick, M. A field test of two single, center high mounted brake light systems. Accident Analysis and Prevention 14:287-291; 1982. Reilly, R.E. ; Kurke, D.S. ; Buckenmaier, C.C. Validation of the reduction of rear-end collisions by a high-mounted auxiliary stoplamp. SAE paper 810189. Warrendale, PA: Society of Automotive Engineers; 1981. Robertson, L.S. Crash involvement of teenaged drivers when driver education is eliminated from high school. American Journal of Public Health 70:599-603; 1980. Rockwell, T.H. Skills, judgment and information acquisition in driving. In: Forbes, T.W., editor. Human factors in highway traffic safety research. New York, NY: Wiley-Interscience, p. 133-164; 1972. Rumar, K. The role of perceptual and cognitive filters in observed behavior. In: Evans, L; Schwing, R.C., editors. Human behavior and traffic safety. New York, NY: Plenum Press, p. 151-165; 1985. Sedgwick, H.A. Space perception. Chapter 21 in Boff, K.R. ; Kaufman, L; Thomas, J.P., editors. Handbook of perception and human performance, volume 1, sensory processes and perception. New York: John Wiley; 1986. Shinar, D. Psychology on the road -- the human factor in traffic safety. New York, NY: John Wiley; 1978. Shinar, D.; McDowell, E.D. ; Rockwell, T.H. Improving driver performance on curves in rural highways through perceptual changes. The Ohio State University, Engineering Experiment Station, report EES 428B; 1974. Shinar, D.; Drory, A. Sign registration in daytime and nighttime driving. Human Factors 25:117-122; 1983. Sivak, M.; Conn, L.S. Driver eye fixations and the optimal locations for automobile brake lights. Report no. UMTRI-84-29, University of Michigan Transportation Research Institute, Ann Arbor, MI; November 1984. Sivak, M.; Olson, P.L. ; Pastalan, L.A. Effect of driver's age on nighttime legibility of highway signs. Human Factors 23:59-64; 1981. Smiley, A; Reid, L.; Fraser, M. Changes in driver steering control with learning. Human Factors 22:401-415; 1980. Sturgis, S.P. ; Osgood, D.J. Effects of glare and background luminance on visual acuity and contrast sensitivity: implications for driver night vision testing. Human Factors 23:347-360; 1982. Summala, H. Driver/vehicle steering response latencies. Human Factors 23:683-692; 1981. Summala, H. Young driver accidents: risk taking or failure of skills? Alcohol, Drugs, and Driving 3(3-4):79-91; 1987. Summala, H.; Na?"a?"ta? "nen, R. Perception of highway traffic signs and motivation. Journal of Safety Research 6:150-153; 1974. Thalmann, H. Der Einaugige im Strassenverkehr (The monocular driver in street traffic.) Schweizerische Medizinische Wochenschrift 101:981-987; July 1971. Trinca, G.W. ; Johnston, I.R. ; Campbell B.J. ; Haight, F.A. ; Knight, P.R. ; Mackay, G.M. ; McLean, A.J. ; Petrucelli, E. Reducing traffic injury -- a global challenge. Melbourne, Australia: A.H. Massina; 1988. Wierwille, W.W.; Casali, J.G; Repa, B.S. Driver steering reaction time to abrupt-onset crosswinds, as measured in a moving-base simulator. Human Factors 25:103-116; 1983. Yanik, A.J. What accident data reveal about elderly drivers. SAE paper 851688. Warrendale, PA: Society of Automotive Engineers; 1985.